Offering products and solutions to empower more and more people to make more sustainable daily choices. Contributing to a better life quality in disfavoured communities. 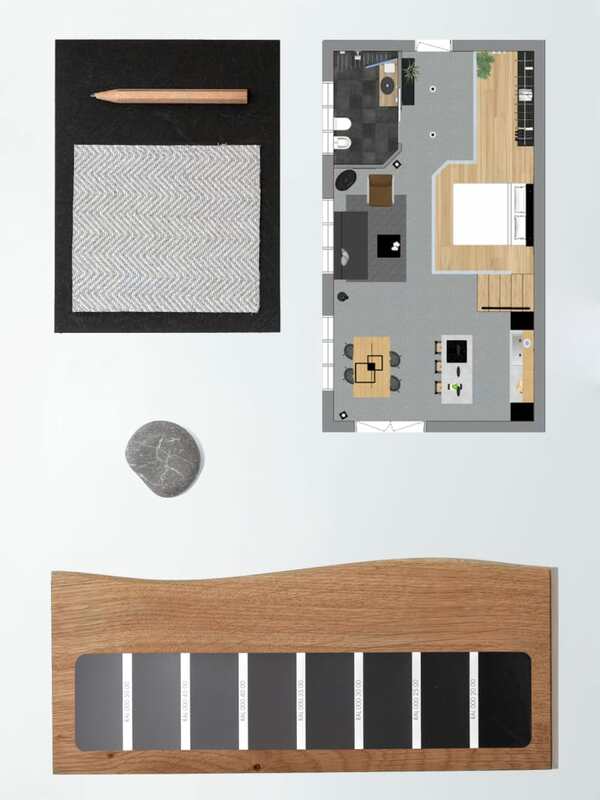 Adopting more sustainable processes and exploiting natural resources consciously. 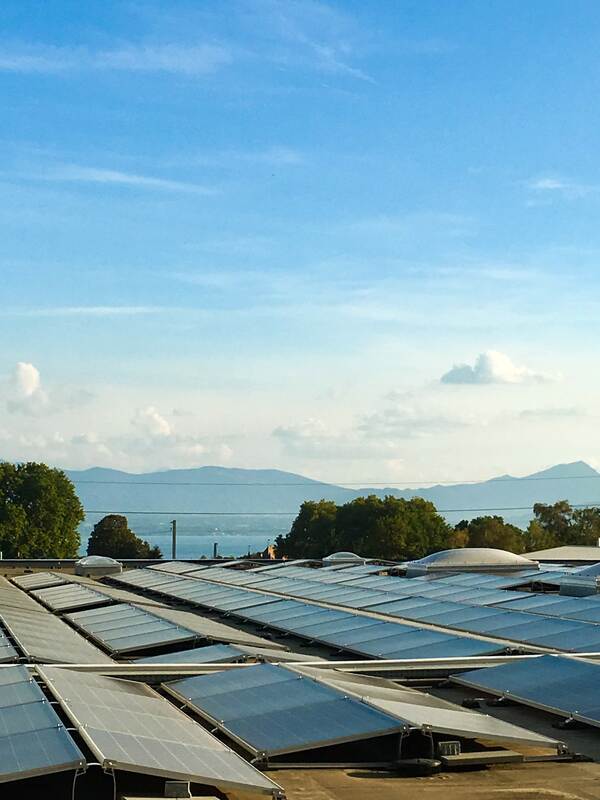 Last week, I was invited to visit IKEA Aubonne, a champion store in Switzerland for the sustainability systems they have in place in the building. 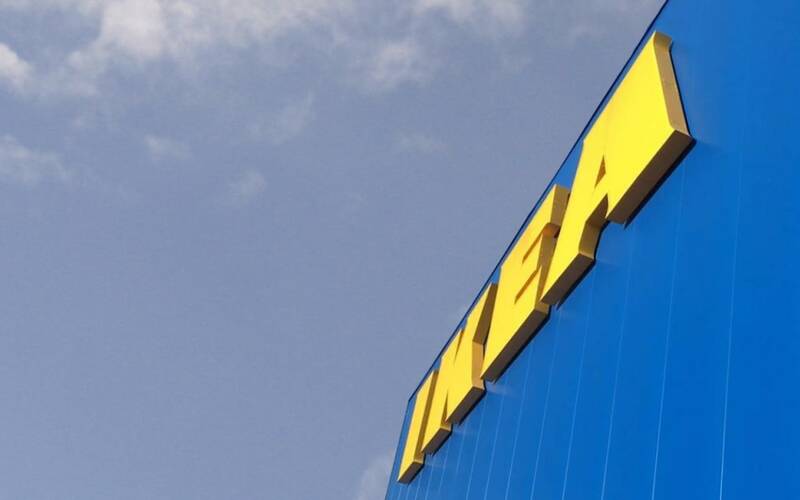 The store was opened on 21 March 1979 by Ingvar Kamprad (IKEA's founder) himself, who also had a little office in the store. 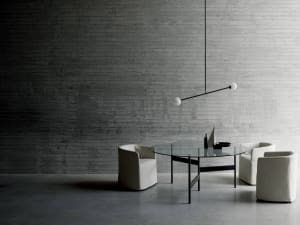 Btw, did you know that Switzerland has been the first country where IKEA opened a store out of Sweden? I didn't! The site of Aubonne has been considerably extended and improved in the last years and inaugurated big changes in September 2017. Fun fact from the inauguration party. At IKEA they don't cut red ribbons. 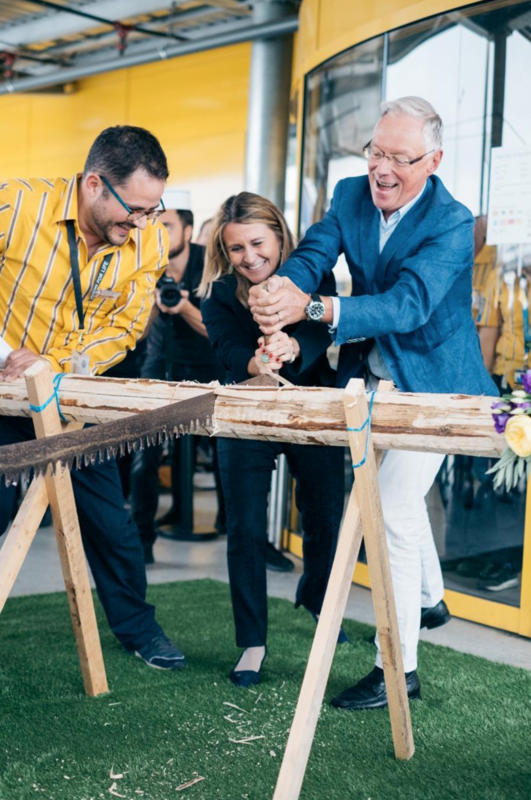 Swedish tradition celebrates openings by sawing a branch, and this is indeed what was done! 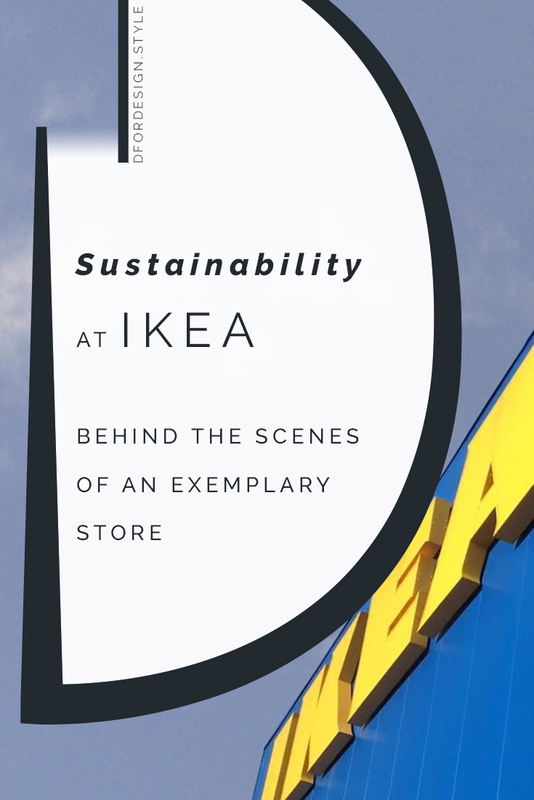 Today, IKEA Aubonne is among the most sustainable IKEA stores and makes for a good summary of IKEA's strategy in terms of the use of resources. Lighting in the building is 100% LED. Also - since 2015 - IKEA only sells LED lighting solutions. LED bulbs are an incredibly sustainable choice. They have an extremely long life (between 15,000 to 50,000 hours!) and use much less electricity than incandescent bulbs to produce the same amount of light. Switching to LED lighting actually allows 85% energy savings and makes changing a bulb a task to be repeated after about 10 years! Talking about energy savings; by 2020, IKEA will use 100% renewable energy and become energy positive, i.e. produce as much renewable energy as it is consumed in production and stores. 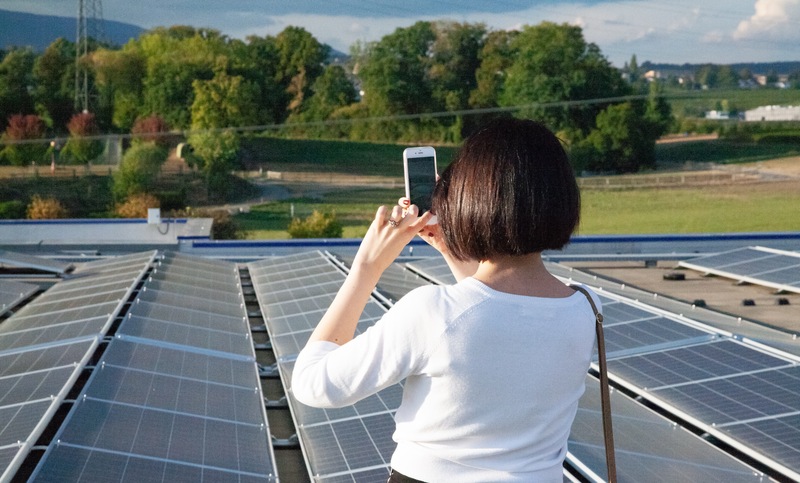 The roof of IKEA Aubonne is already equipped with 6,628 m2 of solar panels that produce part of the electricity used in the building. We were lucky enough to have good weather the day of the visit, so we could have a walk up there and see them in real life. But the environmentally positive strategy extends beyond electricity. reduce waste from store operations by 10% and recycle or energy recover 90% of it. From the rooftop, the visit moved to the heating room in the basement. 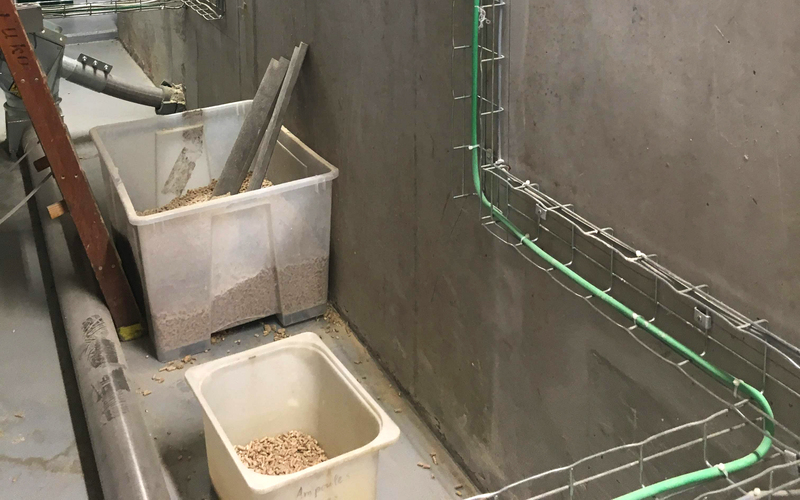 The building is heated mainly with pellet. 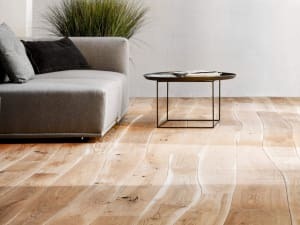 Although the debate is still open on whether or not this can be considered a sustainable heating method, what is good for sure is that IKEA uses wood dust from production facilities to produce pellets, transforming waste into a resource. 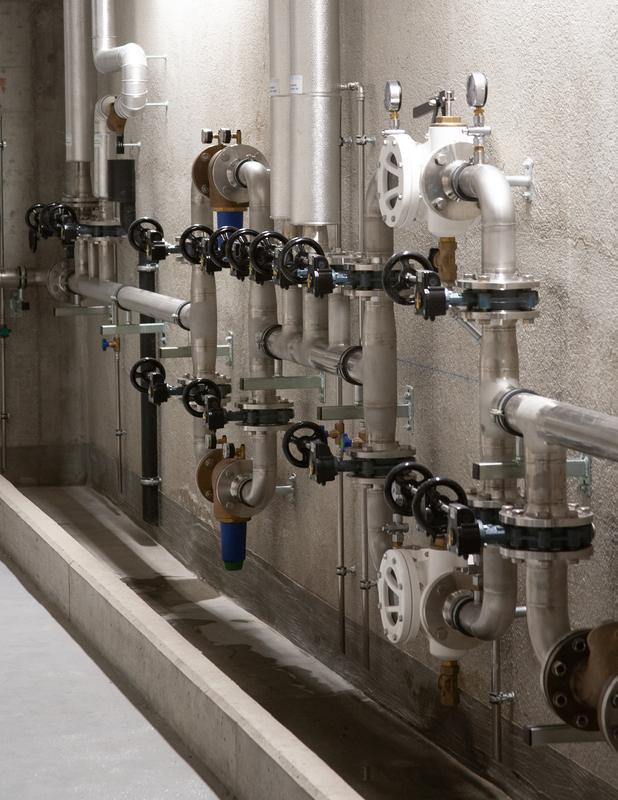 Collecting rainwater is another sustainable measure they're implementing at IKEA Aubonne, which gives a more sustainable water source for fire extinguishing sprinklers and toilet flushing. So does this all mean IKEA is perfect and flawless? Absolutely not! 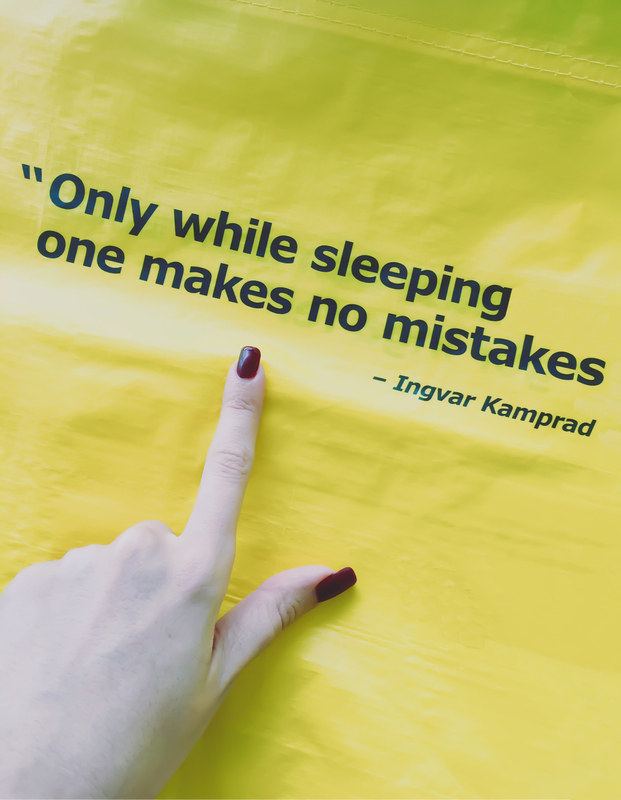 Sustainability is a journey and making mistakes is part of the game whether we like it or not (I really like this quote from IKEA's founder!). 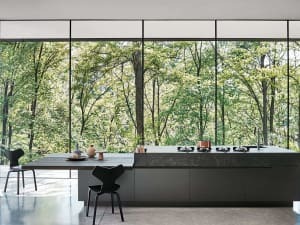 The good thing is that at IKEA they're continuously researching and involving themselves actively in sustainability, while also allowing us consumers to make a difference in our own lives. Because together we can build a more sustainable future! Once again a big thank you to Johana and Aurélien for the visit!